General Rubber has spent nearly seven decades designing and manufacturing performance rubber for customers from around the world. As a result of our significant industry experience, General Rubber is confident in its ability to handle even the most demanding requirements ranging from basic power/process piping requirements to nuclear safety applications. Our management processes have been recognized for their excellence through the industry’s first ISO 9001 certification. General Rubber is both ISO 9001 and ISO 14001 Certified; we are proud to hold and maintain these certifications as part of our commitment to quality manufacturing, management, and environmentalism. General Rubber plays an active leadership role in the Fluid Sealing Association (FSA). As a founding member with a current board position, General Rubber helps apply industry terminology and design considerations to the safe design of rubber expansion joints. Often times these industry specifications, among others, are a distinct part of boilerplate requirements for expansion joints within piping systems. 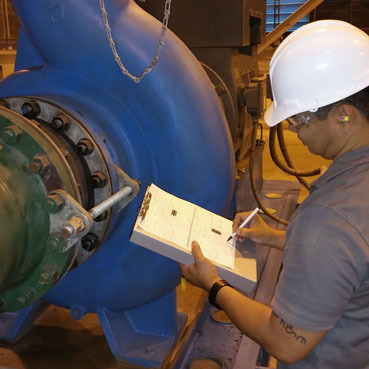 General Rubber’s considerable experience in the power and processing industries enables us to help our customers select the proper safety factors and material specifications for each project or application. While General Rubber confidently manufactures its performance products to meet all applicable codes, our extensive experience and active role in the FSA allow us to utilize sound engineering practices and advanced understanding of these specifications to ensure our customers receive the quality their projects demand in the most economical way. Through General Rubber’s strategic alliances, we are able to provide our performance rubber expansion joints to projects requiring nuclear safety designated products. Utilizing advanced materials of construction enables General Rubber to provide its performance rubber products to customers and projects in many industries and sectors, including those requiring food-safe and FDA-compliant materials. In addition to providing performance products that are compliant with the world’s most accepted and rigorous standards, General Rubber has created guideline specifications which guarantee performance products will be specified for every project. For more information about applications requiring specific codes, safety products, or other engineering and material considerations, please contact our technical sales and engineering teams.